May 12, 2016, at 10:00am, will be the date and time for the unveiling and re-dedication of the portrait of Maj. Gen. J. E. B. Stuart, CSA, on the “Wall of Honor” (2nd Floor hallway), of the Patrick County Veteran’s Memorial Building on Rucker Street, Stuart, VA. 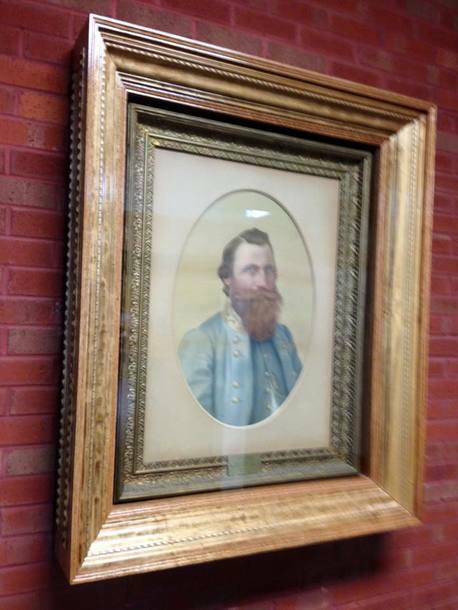 This is the portrait of Gen. Stuart that formerly hung on the wall of the Patrick County Court Room wall for so long. This unveiling date happens to be the 152nd anniversary of Gen. Stuart’s death, May 12, 1864. 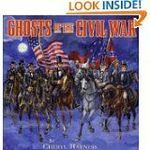 His death was the result of being wounded on May 11, 1864 at the Battle of Yellow Tavern, near Richmond, VA. This special pastel portrait was painted by JEB’s cousin in 1889 at the request of JEB’s wife, Flora, on the 25th anniversary of his death. It has been hung and stored in various places throughout our county and eventually was hung on the courthouse wall in a ceremony in 1972 and was attended by J. E. B. Stuart, IV and other family members. After its removal from the courthouse wall (in 2015), the Patrick County Board of Supervisors voted to restore the portrait and hang it in the County Administration building on the “Wall of Honor”. We expect to have Patrick County Officials, Town of Stuart Officials and JEB Stuart Preservation Trust members on hand for this rededication and invite many out of town guests including Stuart family members. A very special guest, Wayne Jones, a JEB Stuart impersonator and Civil War Re-enactor will be one of our speakers for this occasion.